I purchased Opal and immediately fell in love. It is so smooth and the color pay off is a dream. It doesn’t have large chunks of glitter but just the right amount of shimmer to it. When I got it the only color choices BECCA had was Opal or Moonstone, a lighter cream color toned highlight. I already had the Mary Louminizer by the Balm, which I feel is a lighter tone so I wanted to get the darker Opal for variation. It was the only highlighter I used for the longest time. It is no secret, nor should it come as a surprise, that I bought this for no other reason than because Jaclyn Hill made it. I love the name and the formulation is the same as Opal, extremely smooth and blendable. 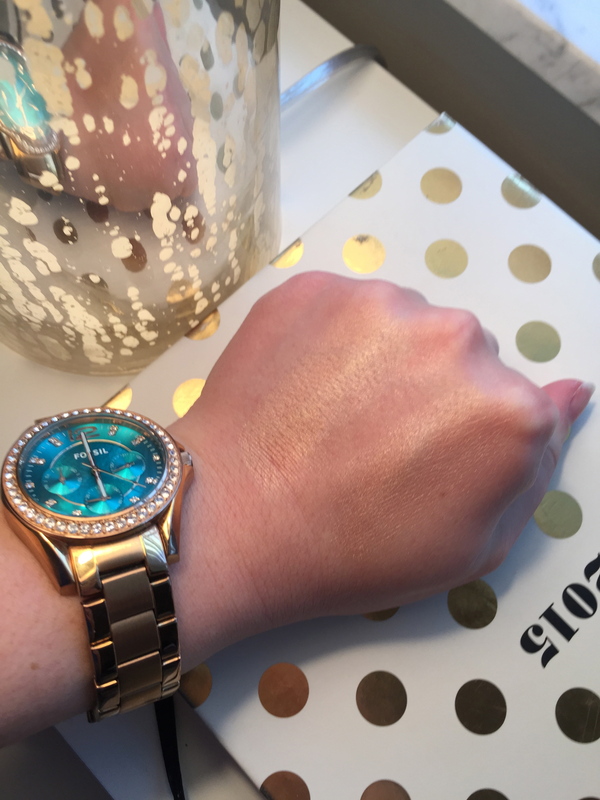 The color is very similar to Opal but a tad lighter. 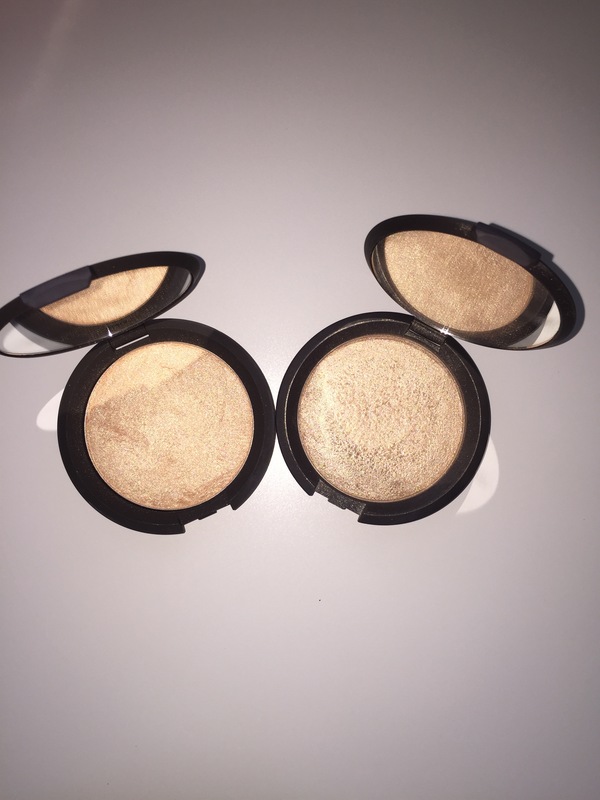 Champagne pop has a more yellow tone to it whereas Opal has a gold hue. It is with a slightly heavy heart that I say I prefer Opal as my highlighter of choice (pause for gasps). Though I still love Champagne Pop, I think Opal compliments my skin tone best and lays better on the face. Champagne Pop is a limited edition but is still available and can be purchased here. Opal is a part of their regular collection and can be purchased anywhere BECCA is sold and online. 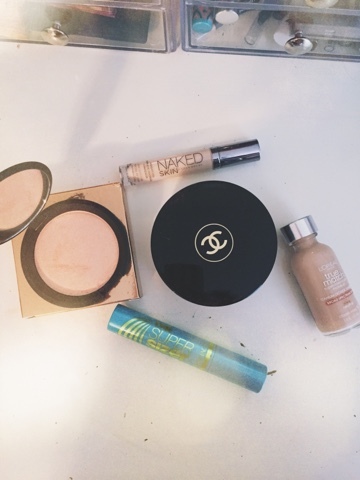 As much as I heart Champagne Pop and Jaclyn, Opal is my ride or die highlighter. Whichever you like better, props to you BECCA for making a stellar product all around! 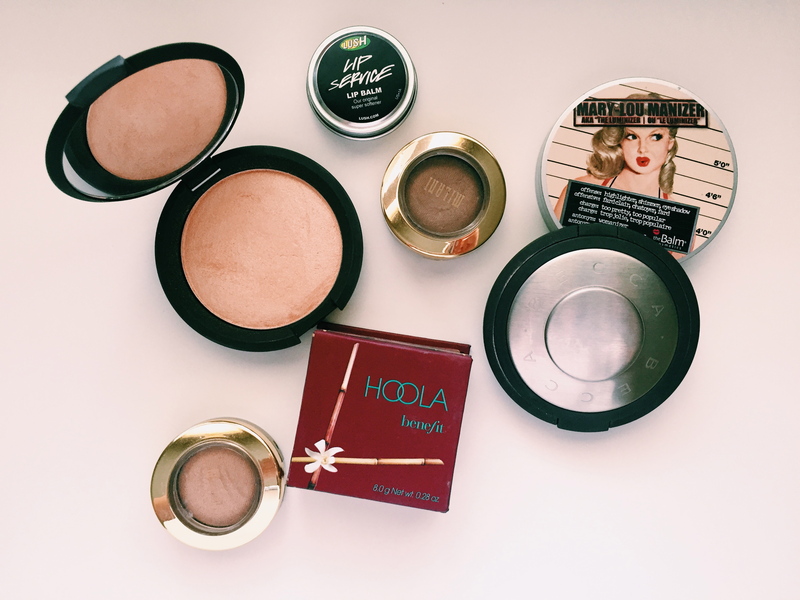 So what’s your favorite highlighter right now? Leave it in the comments below! *Disclaimer: I am in no way affiliated with the brands or companies mentioned. These products were purchased with my own money and the thoughts and opinions stated are my own. Hey Guys! I had a Bloglovin’ account for my old blog and I love the site so I wanted to make sure you guys know you can still find me on there with this blog! I want to become even more serious about blogging. I will be posting every Sunday, so make sure you check here then. I’ll be updating/customizing the theme and background for a while so be patient and I promise it will be spectacular in the end. I am a firm believer that Starbucks coffee and a good lipstick can get a girl through anything. So if you are into makeup and beauty products, or if you just want to see someone else go through life without any idea of what they are doing then come along on the journey with me!